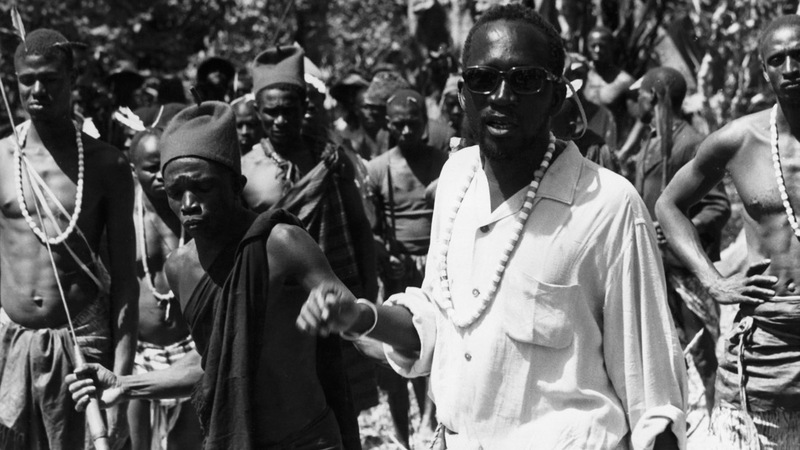 2015 Sundance Docs in Focus: SEMBENE! The penultimate contender in this year’s World Cinema Documentary Competition hails from Senegal/USA: Samba Gadjigo and Jason Silverman’s SEMBENE!, a tribute to the acclaimed African filmmaker. To speak of African cinema is to speak the name of Ousmane Sembene. Known as “the father of African film,” this was no easy title to bear, as shown in this personal essay about one of the world’s greatest artists. Told by those who knew him best and with fascinating archival interviews, SEMBENE! constructs a revealing portrait of a curious, cantankerous, and deeply intellectual artist. Sembene promoted a new vision of Africa, and his films injected that vision into the world. SEMBENE! is a testament to the power of story, highlighting how it can plant a seed of thought that crosses generations. This project is Mt Holyoke professor and Ousmane Sembene biographer Samba Gadjigo’s first feature; he previously made the short doc MAKING OF MOOLAADE, about the director’s final, Cannes-winning film. This is also the directorial debut of Jason Silverman, the former Artistic Director of the Taos Talking Picture Festival, and a producer whose films have screened at SXSW and Slamdance. The pair have received support on this project from the Sundance Documentary Film Program/. Working with them as co-producer is Mark Steele, a Sundance alum with CUTIE AND THE BOXER (2013), THIN ICE (fka THE CONVINCER) (2011), and HOWL (2010). Executive producers include Impact Partners, who are also represented at this year’s festival by HOW TO CHANGE THE WORLD, THE HUNTING GROUND, DREAMCATCHER, CHUCK NORRIS VS COMMUNISM, and CENSORED VOICES. The film’s editor, Ricardo Acosta, cut last year’s MARMATO, while associate editor Matthew Cohn edited THROUGH A LENS DARKLY, also from the 2014 festival. Sembene was already a celebrated novelist when he became the first sub-Saharan African director to ever release a feature film in 1966. While known and celebrated in his native Senegal, in France, on the international film circuit, and in academic circles, his work has escaped mainstream attention, and, since his death in 2007, may very well fade into obscurity. Gadjigo and Silverman’s long overdue appreciation aims to prevent that from happening. For more information, visit the film’s website – which includes a mailing list sign-up – and Facebook page. Check out Gadjigo’s website – which includes a Indiewire filmmaker interview. For screening dates and times at Sundance, click the link in the first paragraph.